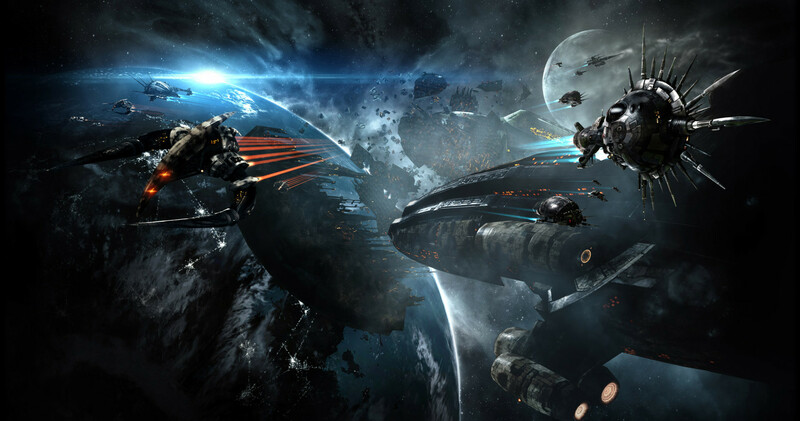 Recently it was quietly announced that a new daily reward system would be introduced into EVE Online. Within a day the thread has blown up to over thirty three pages, which probably qualifies it for a threadnaught, an impressive feat given the current glut of news and things to talk about in EVE. Obviously, people are very passionate about this topic, and it seems that most people are either opposed to the idea of dailies completely, or strongly criticizing the implementation. One of the things that is confusing about this is the dramatic change from the proposal from when it was first discussed at EVE Vegas. This shift to a more simpler implementation is of course easier to create, and iterate on, but many feel the feature as it is presented is too thin. In reality, the issues of the feature are a combination of changing expectations, poor design, and even poorer implementation. The feature was originally described thusly: CONCORD is losing their grasp, and have now been forced/opted to reward players for assisting in “policing” the universe. To do so they have unveiled the Tribute system. 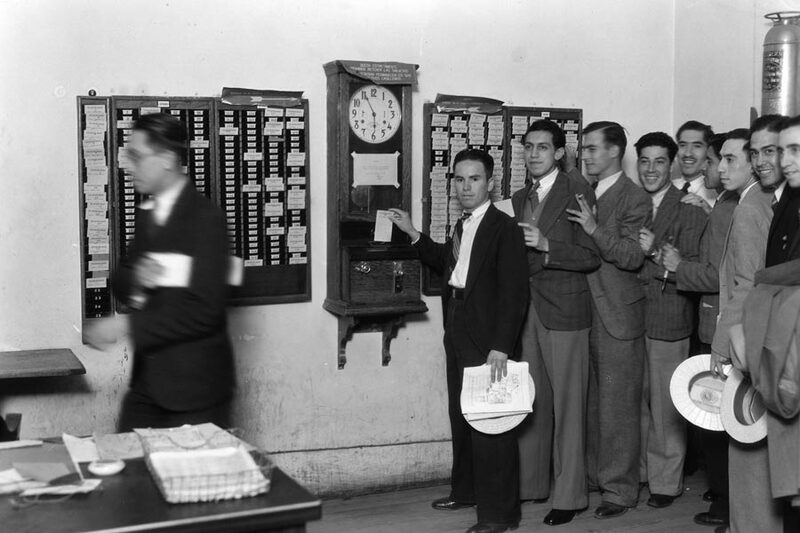 The system itself is designed to reward the first bit of content a person performs on any given day. The reward would be tied to the “dungeon completion” trigger, meaning closing any site would grant the reward (the only exception mentioned was COSMOS, so this would include Missions, Anoms, Exploration Site, Faction Warfare Sites, etc.) The reward would be tiered so a level one wouldn’t reward as much as a level four, however you could perform increasing reward tiers to get the remainder of the Tribute available. 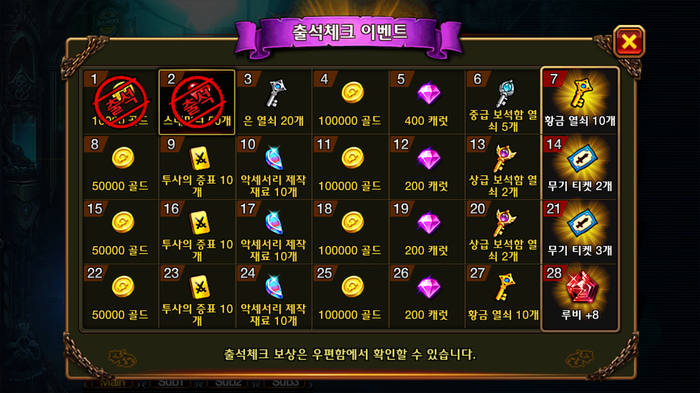 While the exact details of the rewards were not specified, they were stated to be roughly the equivalent of double the reward for the first site. Obviously what we are getting is a far cry different than that. Before diving into the new system, it must be noted that we only have the most preliminary version of this new design. It has been said that this is a very simple implementation, and that they do plan on iterating on this aggressively to offer more choices for engagement, however what is done now will set the trajectory of future development of the feature. In the new system as proposed by CCP Rise, once every 22 hours the first rat you destroy will provide you 10,000 SP on top of any other bounties that rat would give you. Quick research determines that on average a player will earn around 1.6 million SP per month, with a lower end of 1.4 million, and an upper bound of around 2 million. Assuming that you do your daily task you will gain 300,000 SP in a month. This is 18% of the SP gained on average, 21% of the lower bound, and 15% of the maximum normally attainable SP given full implants, and optimized attributes. By contrast, the difference between the lower bound and the upper bound is 600,000 SP. In other words, this daily task will net you half of the SP difference between a maximally optimized skilling character. Never mind what that will do to SP farmers for injectors. I could go on explaining how unbalanced this is vesus other previous methods, but suffice it to say, the impact of this is significant. As seen above, the best comparison for this gain is implants and attributes, seeing as they were previously the only way for a player to actually increase the SP gained over time. Attributes seem to have no love within the EVE community, however the system itself is still significantly better than the system being presented. Well designed features reward behavior that is engaging and provide an elegant connection between the action and the reward. Attributes, at their core, are a reward for long term thinking. To maximize the value of attributes requires one to plan their life out for as long as possible. This idea is reinforced by the fact that attributes can only be remapped once a year. If you could remap freely, then it would just simply be a matter of rewarding those who pay attention. By planting the “one year plan” as a prerequisite for properly maximizing your attributes, it encourages players to think about EVE in a long term way, which one could argue is an extremely important process for new players acclimating to the strange world of New Eden. Attributes are clunky, and painful to be sure, and stand for improvements (I would recommend the ability to always reset your attributes to default without consuming a remap, to reduce ‘remap remorse’), however this mechanism uses SP as an extremely strong incentive to an otherwise very painful process. 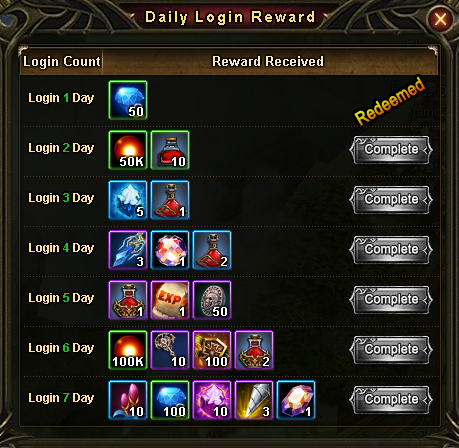 In contrast, the new feature trivializes this effort, by supplanting it with a simple daily login reward. However, not all logins are created equal; the simple task of “undock and shoot one rat” simultaneously fails to create engagement while ensuring that many people will be feeling as if they are being unfairly punished for not being able to perform this task daily. While the latter is one of the principal design challenges of creating a good daily reward system, both problems are solvable. One of the most misplaced accusations to be leveled on the new system is that of a “skinner box” also known as an “operant conditioning chamber”. This is not a new accusation for MMOs, and almost every long term online video game (long term in that it expects players to invest extremely high amounts of time into the content) leverages it at their core design. 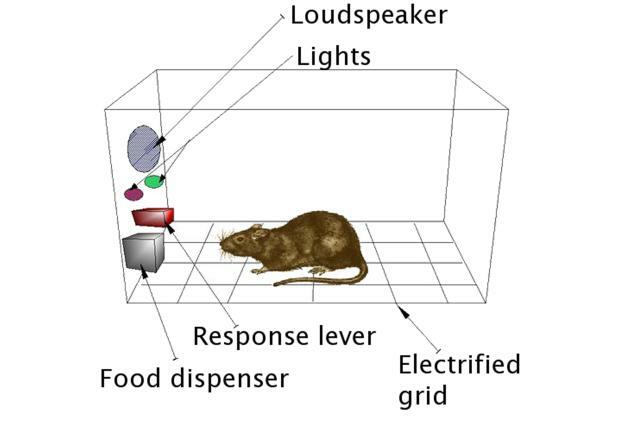 However, this new system isn’t a “skinner box” and actually ignores the very principles of operant conditioning. What we see is CCP building up to a fixed-interval reinforcement style of reward, which has largely been found to be not very good at controlling anything besides the exact behavior to receive the reward. In other words, if you are a designer, you only want to use this reward if the behavior itself is what you want to reinforce. Advocates of the new system say that getting people to undock is good, and shooting one rat will get them to perform other tasks. However, research has shown such rewards to not actually translate to much additional results, and in the case of a reward system like this, human beings do not like to feel relegated to such simple tasks. What is most odd is that we have seen CCP exercise a much better reward system in the form of the ingame live events. In these the task is easy enough, but the reward is highly chance-based. Many people engaging in those events did so at mere rumors of rewards and riches. Although some burned out, this could merely be seen as a reward system too spread out, and a need for increased frequency of basic rewards (which is what we saw in later iterations, such as Geckos in lowsec site in the Valkyrie pre-event). What we saw was exactly what was expected: a high surge of player interest, combined with a taper-off throughout the event, and a resurgence of interest when shaken up. Signs, and good design study indicate we will not see this same behavior with the new Tribute system. The biggest tragedy of this idea is that a system like the originally proposed Tribute system would be great for EVE Online. If you dream big enough, you could easily steal from other powerful ideas currently emerging in the industry. For example, what if CONCORD wasn’t the only one needing things from players. What if every faction, including the pirate, had their own objectives, and by helping them in their own unique way, they would reward you. You could even have these rewards diminish if too many people support one side, and have other factions double down to attempt to catch up. 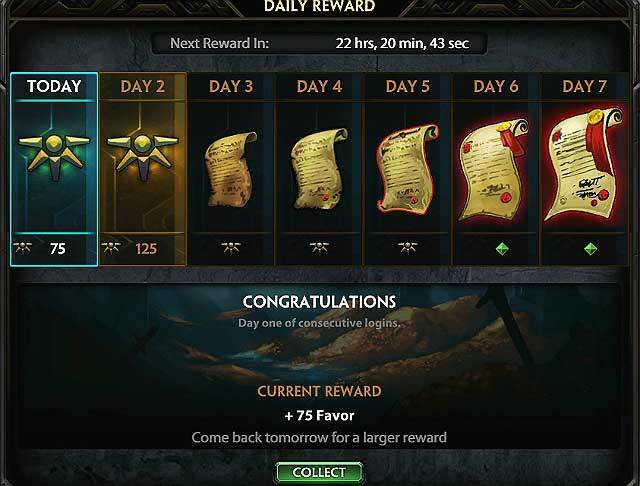 The fundamental idea of daily tasks for players to perform for additional rewards could be fleshed out into a well formed system, and in a lot of ways they are correct, they cannot just build the complete system and hope people like it. However, if the system is too thin, poorly designed, and not well integrated into the nature of EVE itself, it will be rejected by the playerbase. Remember this is a player base that rejects ideas violently. For now let’s focus on CONCORD. We already established in the ESS that CONCORD has no love for the rising pirate threats, and with the Drifters, the Sleepers also have come under the concerned eyes of CONCORDs DED. So we do have a very good “protagonist” for this reward. The original system was tied to “dungeon completion” and while that may seem limiting, when combined with “mission completion” as an alternate trigger, it would include all of the following: Missions (including mining and distribution missions), Data and Relic Sites, Faction Warfare Complexes, Special Event Sites, Combat Sites, Anomalies, and anything else that “closes” when completed. This should allow us to properly reward good consistent behavior. Additionally, unlike “shoot one rat” each of these tasks are both objective based and take at least some time (either in finding, or in completing of the site). This reinforces not only the act of undocking, but undocking for a greater reason. It also shows the players a list of kinds of things they can do in the game, given them a complex set of goals. You could even provide additional rewards for performing different kinds of actions throughout the week, or give bonus rewards for tasks CCP wish to highlight. Now, let us turn to the reward itself. If the various events since the Crimson Harvest are any indications, the most effective rewards come in the form of skillpoints. However, there are reasons to suspect this drive is artificially high at the moment. For over a decade, the march towards high SP has been steady, and sacred. We as a culture have not fully conceptualized SP in its new worth. This has potentially overinflated SP in the eyes of the players and thus the developers examining the metrics. These sorts of “lies” in the statistics when not accounted for, can lead to disastrous conclusions. The short of it is that banking that SP gains is the best reward for this kind of system is likely a mistake. SP is very rewarding, but it is best when it is elusive. What I propose is a new LP store for CONCORD focused around this new structure (the old LP store is simply flooded by incursions, so if you end incursions as we know it, this may work). This new LP store could be closer to the Sisters of EVE store for Project Discovery. In that store we have a variety of cosmetic and beneficial rewards, culminating in the SOE Battle Armor. Finally, we take the best of what we have learned from daily rewards: They always do better when they build up. The nice thing about this is that there is when mixed with the behavior above you create the ability to manipulate the reward system however you want. Each day the reward could build up until the final day. Each day the rewards could either be LP, small prizes from the new store, or a mixture of the two, culminating on the final day with guaranteed SP. In this way people are driven to do tasks that are ‘meaningful’ within the game, and are driven to do them in consistent blocks, which is very healthy for the mentality needed to play a game such as EVE. 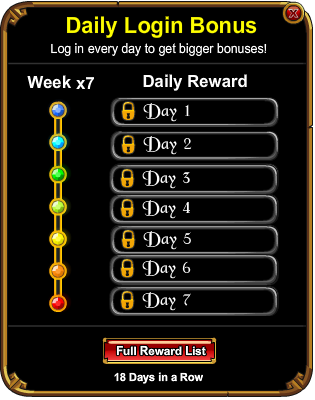 Additionally, as you expand, different empires could give different rewards, and so each day could be a question of whose daily reward to complete. As you can see, this change in the system already lends itself to expansive thinking, and more universal acceptance. Right now is a very important time for the feature. If rolled out poorly, it could be strangled in its crib, and this writer in particular would rather help make the feature successful than write of what may have been. CCP needs to clarify their position on this feature. It is of the utmost importance that the Tribute system doesn’t get to Tranquility in its current iteration, or perhaps the damage will already be done. Convincing the playerbase that a daily reward system is healthy is going to be a challenging task, given the amount of negative feelings other games have brought, as well as the ever looming fear of “Free 2 Play” eroding the core of EVE. However, if CCP pivots, and commits to this as being a fully fleshed out feature, and not some flimsy attempt to check the “daily rewards” box, they could stand to include this as part of a comprehensive overhaul of the PvE experience, revitalizing EVE Online in a way unseen in years, and potentially once and for all rendering the statement “PvE in EVE is terrible” to the annals of myth.